Payment collection is one of the most important tasks in every business. Especially in freight forwarding freight debts are one of the most challenging areas if the organization is not properly created a collection pipeline or task management. You can create the best freight forwarding company by providing quality services and customer support - but if the cash is not coming or sufficient cash flow not in your organization it can all go up in smoke. In Freight Forwarding Business payment collection is one of the great roles in building a healthy and productive business. here are 5 steps to avoid freight debts and make your business more productive and keep your reputation forever. Step One - Set up a credit application process. Most of the FNC Group members are qualified and verified. Remember all members are independent freight forwarding companies and various regional and judicial territory. Before approving the credit application please collect the following information. Before approving the credit please renew the company and their credentials. Also check whether the company is listed on FDRS, Freightdeadbeats.com or IFD Delinquent List. If the company listed in any of the above we strongly recommend not to sanction the credit. You can also make your own research such as searching for online reviews of the customer etc. In freight forwarding industry 30-day terms are most recognized credit term. When you are signing a contract with another freight forwarder ensure that your terms are clear, in writing and agreed by both parties. You can also set a credit limit as well as late-payment interest. It is also important to review these terms as you go. Old and existing agent can be given more flexibility than new and unknown freight forwarding agent. Step Four - Invoice in Time and collect the payment in time. Apart from setting the terms and system, make sure that your staff is issuing the clear and correct invoice and does not provide any opportunity for the agent to delay your payment. you can create a prompt reminder and collect the payment in right time. 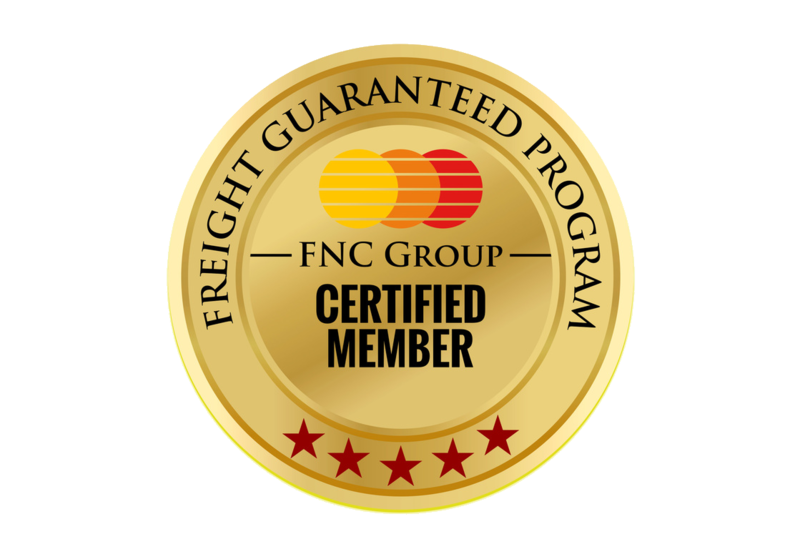 FNC Group offers Freight guaranteed program for its members. most of the members are participating in this program. This will help the member a certain level of protection while doing business with another member. Please review the terms and condition and follow the instruction to minimize the bad freight debts. We strongly suggest following the above which dramatically reduce risk and increases the cash flow and reduce freight bad debts in your business and increase profit margin. Don't forget to keep your own records of bad paymasters and delinquent freight forwarders and consider to reduce credit limit/ period or cancel the credit agreement with those agents.